It feels a bit wrong to make a list of “vegan staples,” because it implies that these foods are specific to vegans and other people don’t eat them or shouldn’t eat them. The truth is that pretty much ALL of the foods which vegans eat are also eaten by people all over the world. In fact, some of these vegan staples were considered the norm before meat and convenience food became part of people’s everyday diets. As a vegan, you will probably find that your meals start to take on a more ethnic, worldly flavor. As you eliminate meat, dairy, and eggs (the staples of a Western diet), you find new items to fill their place. This means sampling foods from all around the world as well as local foods which our ancestors ate but we may have forgotten. Here are just some of the staple foods you will want to have in your pantry as a vegan and how to prepare them. Tofu gets a bad reputation because it is a flavorless mass of protein. But it is this exact quality which make it so wonderful. Because tofu has no flavor, it will take on whatever flavor you add to it. Want to make a vegan chocolate cream pie? Just use tofu for the base. Want to make a veggie burger? Mash up some tofu. It takes a bit of trial and error to master cooking and baking with tofu. The first thing you need to understand is that there are multiple types of tofu. 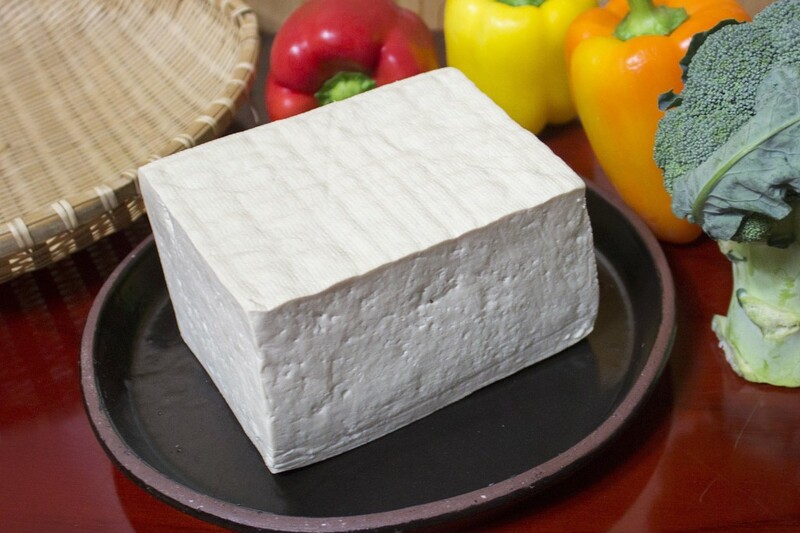 Read this post to learn more about the types of tofu. Beans and legumes are great sources of protein for vegans, and are also loaded with fiber and nutrients like iron, magnesium, and potassium. What’s the difference between a bean and a legume, you ask? A legume is a family of plants (Leguminosae) which has a fruit that grows in a pod. Beans are the seeds of certain plant species. All beans are legumes, but not all legumes are beans. Yes, I know that this is confusing, but don’t worry – you aren’t being tested. 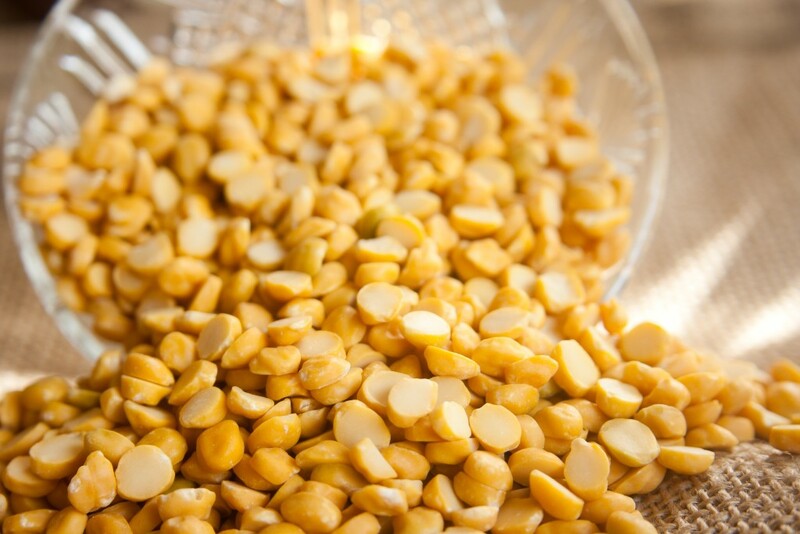 Examples of legumes include lentils, peas, and peanuts. Examples of beans include chickpeas, soybeans, pinto beans, black-eyed peas, and lima beans. Aside from being very nutritious, beans and legumes have the benefit of being very cheap. To put this in perspective, a gram of protein from cooked black beans costs just 1.1 cent. By comparison, a gram of protein from ground beef costs 4 cents. See a comparison of the cost of plant protein vs animal protein here. You can buy all sorts of beans and legumes in cans. This is really convenient, but it will end up costing you a lot more (not to mention increase your environmental footprint from all that processing). You’d be a lot better off soaking and cooking your own beans and legumes. I know that it seems like a lot of work to cook your own beans, but it really isn’t that much effort. Now, I’m not going to spend 1 hour cooking beans each time I want to make burritos for dinner. Instead, I cook huge batches of beans at once. Then I divide them into little baggies and put them in my freezer for later use. When I want to use beans or legumes in a recipe, I just grab a baggie and run it under hot water to defrost. Here is where I also must mention that little problem that eating beans and legumes can cause. Yes, flatulence. The reason that beans and legumes make us fart is because they contain a type of starch called oligosaccharides. Bacteria which live in our digestive tract eat these starches and produce gases as a byproduct. These gases aren’t actually smelly. It is the sulfur from other foods (such as onions and garlic) which make the gas smell bad. When you soak beans and legumes, some of the oligosaccharides are leached into the soaking water. Always throw away the soaking water. You will lose some nutrients which leached into the soaking water, but it gets rid of those pesky starches that make you fart. This is just one more reason to cook your own dry beans and legumes rather than buy them canned. 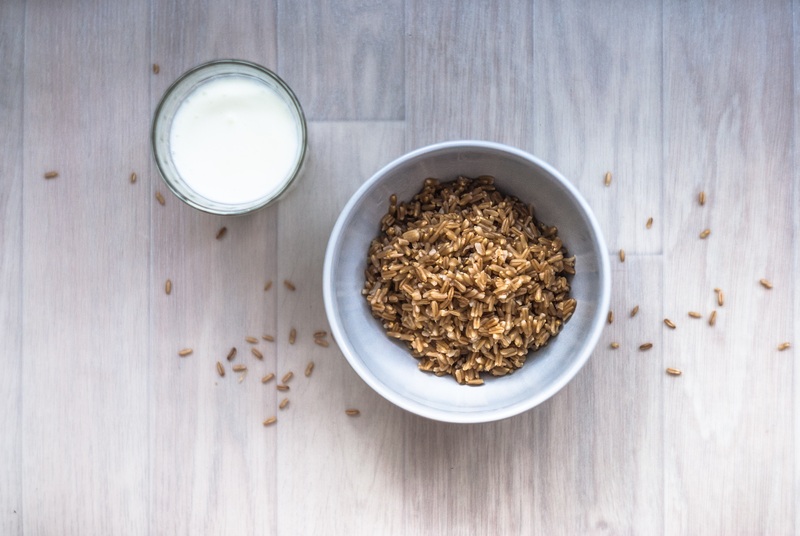 One of the simplest but most effective changes you can make for your health is to switch from refined grains to whole grains. 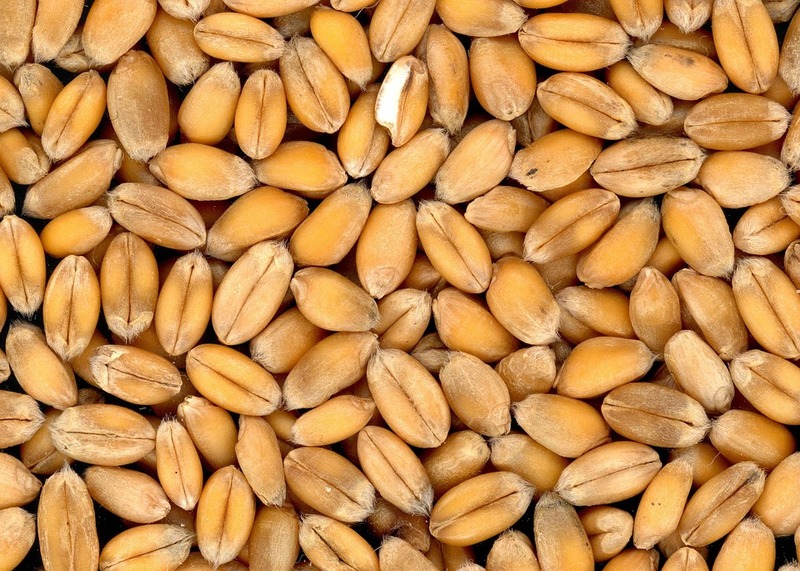 Grains contain 3 main parts: the bran, the germ, and the endosperm. When refining grains, usually the bran and the germ are tossed and just the endosperm is left. The endosperm is preferred because it has a finer texture and much longer shelf life. However, the bran and germ are the parts of the grain which contain fiber, B vitamins, iron, magnesium, and many other nutrients. If you eat just white bread, white spaghetti, and so forth, don’t be surprised if you end up with an iron deficiency. Some whole grains, such as brown rice, take a really long time to cook. Since I’m not going to spend an hour cooking grains before each meal, I take the same approach as with beans and legumes: I cook huge batches and put them in my freezer. Since whole grains take longer to cook than their refined counterparts, you’ll need to add more water when cooking them. For example, you generally use a 1:2 ratio of white rice to water when cooking. With whole grain rice, the ratio is 1:2 1/2. I used to have problems with my rice either burning or ending up slightly uncooked. Here is how I solved the problem: I let the rice cook for about 30 minutes, or until it is cooked almost all the way through and there is still some water remaining in the pot. Then I remove the pot from the heat, cover it, and let it sit. The rice will absorb the rest of the water and be nice and fluffy. And it gets this way without requiring me to stand over it stirring to make sure it isn’t on the verge of burning! Not that long ago, soy milk was pretty much the only non-dairy milk option available to vegans. Now, taking a stroll down the plant-milk aisle of supermarket can be overwhelming because of how many choices you have. If you’ve ever tried a plant milk before and didn’t like it, I urge you to go out and try some more. It may take some time, but there is probably at least one type of plant milk that you will enjoy. You might even find that you like some plant milks for certain uses but not others. For example, I love baking with almond milk because it gives sweets a nice nutty flavor, but almond milk tastes absolutely disgusting when I put it in my black tea! It is time to move beyond just peanut butter! Nut and seed butters are an easy way to increase your uptake of protein and essential fatty acids. Some butters are also very rich in nutrients like calcium and iron. For example, 1 Tbsp. of tahini (which is sesame seed butter) contains about 6% of your daily calcium and 7% of your daily iron requirement. Another reason why butters are vegan staples is because they are high in fat. Yes, I know that fat has a bad reputation and a lot of people go vegan to lose weight. But, as I talk about here, your body needs fat to function. Since most plant-based foods are naturally low in fat, it is easy to miss out on fat on the vegan diet. Without fat in your meals, you will be left feeling unsatisfied. You know those cheese cravings you get? Try adding more fat to your meals and they should go away. Cashew, Almond, Pecan, and Macadamia Nut Butters: Put a spoonful in smoothies, in your cereals, or on fruits like bananas or apples for a snack. If you buy pistachio butter, note that it goes bad really quickly! 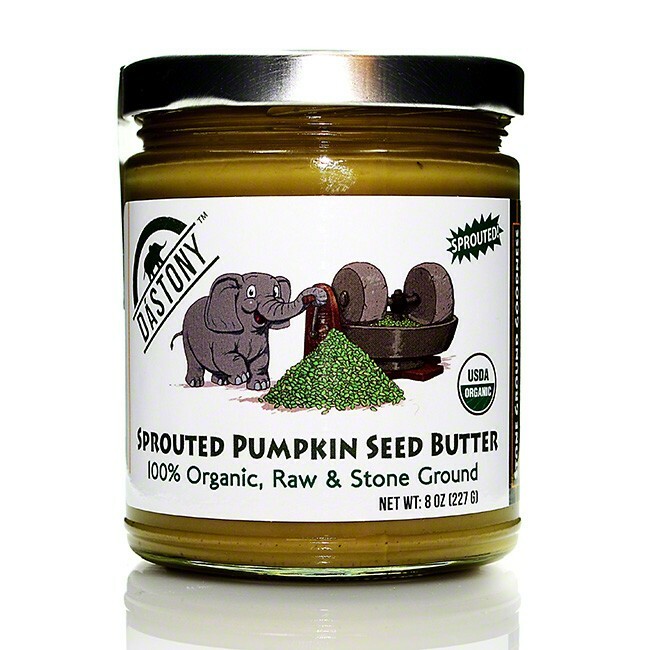 Pepita Butter: A great source of iron, this butter has a really strong flavor. Spread it on top of crackers for a snack. Hemp Seed Butter: Hemp is a complete protein and also rich in Omega 3 fatty acids. Use it anywhere you’d use peanut butter, including in cookies and other desserts. Sesame Seed Butter (Tahini): Since tahini has such a potent flavor, you probably won’t want to scoop it into your morning cereal or even rub it on apples. I like to make salad dressing out of tahini, or use it when making hummus. Sunflower Seed Butter: Compared to the other types of nut and seed butters, sunflower seed butter has a more neutral taste. It is also one of the more affordable choices. With cacao or cinnamon, it works well for sweets and desserts. It also works great for making protein bars or granola bars. I love fruits and vegetables but, let’s be honest here, they can get really boring after a while. All of the vegans I know have much better stocked spice racks than most of my omnivore friends. Vegans rely on these spices and herbs to make meals more interesting. It is actually pretty amazing how big of a difference a small pinch of seasoning can make to a meal. Tofu by itself tastes like spongy nothingness. Add some spices to it and it suddenly becomes the best thing you’ve ever eaten. Another reason to go crazy with the spices and herbs is because they pack a high nutrient punch. To give you an idea, consider that a single teaspoon of thyme has 7% of your iron RDA. A teaspoon of cumin has 2% of your calcium RDA. A teaspoon of dried cilantro has 8% of your RDA for vitamin K. Most herbs and spices are also really good sources of Omega 3 and are usually loaded with immune-boosting, cancer-fighting antioxidants. 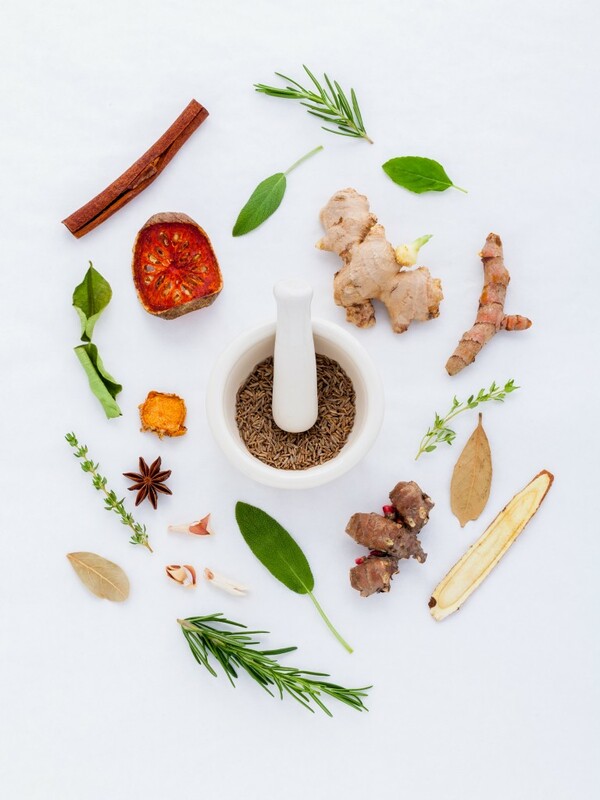 While you aren’t going to meet your nutritional requirements on herbs and spices alone, all those little bits in each meal add up. Stocking up your spice rack can be expensive if you do it all at once. Consider getting a few different spice blends for starters. Having these blends also makes meal planning easier. For example, I might decide to have Mexican food for dinner and then can just think of what vegan proteins, veggies, and carbs they use in Mexico. I cook them up, add the spices, and have myself a tasty meal.